Aizawl, May 7 : Despite uncertainties among refugees, the Mizoram government has agreed to resume the rehabilitation of over 40,000 tribals who had sought refuge in Tripura for about 16 years, a home ministry official said Monday. In view of the growing ethnic troubles, the Tripura government has been repeatedly telling the centre that the long stay of the immigrants was causing socio-economic and law and order problems. In contrast, refugee leaders have been insisting that without a formal agreement between the governments of the states of Mizoram and Tripura, the union government, and tribal leaders, the rehabilitation of refugees would remain uncertain. "Mizoram government's core committee on refugee repatriation headed by Parliamentary Secretary for Home Lalrinmawia Ralte last week held a meeting and decided to resume return of refugees this month-end," a Mizoram home department official told IANS. The official said: "The core committee has asked the district administration of the Mizoram's Mamit district to finalise the schedule of the return after discussion with counterparts in Tripura." The official said the union home ministry has asked the Mizoram to re-start the stalled rehabilitation of refugees, in coordination with Tripura. The issue was also taken up at the chief ministers' meeting with union Home Minister Sushilkumar Shinde in New Delhi last month. Tripura Chief Minister Manik Sarkar told the meeting that the continuous presence for over 16 years of about 41,468 tribal refugees from Mizoram has been a matter of concern for his state. "The long stay of the refugees in Tripura has its own socio-economic and law and order implications. The state government is providing necessary support for early repatriation of these families. However, the process has been extremely slow," Sarkar told IANS. According to an official report of the union home ministry, the central government had sanctioned Rs.17.86 crore to the Mizoram government during the past two years for the rehabilitation of refugees in their original areas in Mamit district, western Mizoram. Mizoram Bru Displaced People's Forum (MBDPF) president A. Sawibunga said: "We would not create any impediment in the repatriation process, but a large number of common refugees are not fully influenced by the verbal assurance of the central and Mizoram governments." The refugees, lodged in camps in northern Tripura, 180 km north of Agartala, have sent several memoranda to the prime minister and union home minister and occasionally organised protest rallies in support of their 18-point demands. The 18-point demands of the refugees include a written agreement between the Mizoram, Tripura and the central governments and refugee leaders, ensuring livelihood to the Reang tribals in Mizoram, and constitution of a monitoring committee to supervise the settlement of home-bound refugees. Since October 1997, over 41,000 Reang tribal refugees, locally called Bru, have taken shelter in six camps in north Tripura's Kanchanpur sub-division, adjacent to western Mizoram. 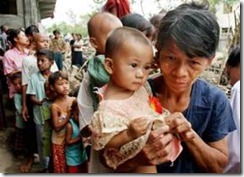 After continued persuasion by the Mizoram and union home ministry officials, around 4,500 refugees of 850 families have returned to their villages in 2010 and 2011. After that, the process of return of refugees stalled. The tribal refugees had fled their villages in Mizoram after ethnic clashes with the majority Mizos over the killing of a Mizo forest official 16 years ago.